We are very excited to be launching a new appliance to help customers consolidate thousands of databases, and at the same time enable IT to respond to business needs much faster through an elastic database private cloud infrastructure. The new HP Enterprise Database Consolidation Appliance, Optimized for SQL Server, was designed, tested and engineered jointly by Microsoft and HP and is available today. We have talked to many customers that face the challenge of managing the continuously growing data. Many times the ideal solution is to consolidate all the databases in a single integrated platform. Customers have told us that creating this solution was complex, expensive and time consuming. It requires having experts on storage, network, database, infrastructure, operating systems and virtualization, all working together to design a solution with the right balance and type of hardware, software and management tools. Microsoft and HP spent months designing, tuning, and testing a solution that out of the box would have all the Hardware and Software components to manage the consolidation of thousands of databases. Customers could acquire the appliance, install it in their datacenter, and have a database private cloud infrastructure in just a number of weeks. 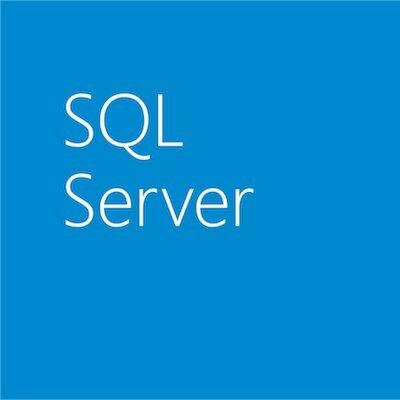 Learn more about SQL Server for Private Cloud here. What does the appliance do? The appliance is used to consolidate databases running servers or racks, into a single, highly tuned integrated solution. – Customer research and early adopters confirm the key benefits of the appliance as: Rapid deployment: be up and running in weeks, and save time and cost to assemble the solution. How is this appliance an industry first? What is the ‘elastic, agile, private cloud infrastructure’? – Hardware growth – You can start with a half rack and grow to a single rack. As the needs of your business grow you can expand to up to 10 racks. – Enhanced tools – The new appliance includes technologies to have ‘zero downtime’ live migration, and real time database VM load balancing. – High Availability out of the box – Most in-market databases are not highly available. All databases running in this new appliance will now be highly available through fully fault tolerant and duplicate hardware, as well as software tuned to be resilient to hardware failure. For example, more than 20 hard drives can fail, and the appliance will continue to work with no impact. – Private Cloud capabilities optimized for SQL Server – Resource Pooling – Able to consolidate your database into a single appliance: from half rack to 10 racks and managed as a single resource. – Elasticity – Scaling your computing, network and storage resources efficiently; the VMs and SQL Server are ready to respond to resource changes, in minutes. Grow or shrink memory, storage and CPU for any instance. – Self-Service – Able to deploy resources on demand quickly, through technologies like the self- service portal, and prebuilt VM templates tuned for SQL Server. What is inside the appliance? Inside each rack, we provide 58TB of storage, 400 hard drives, 192 logical processors, 2TB of RAM, 60,000 sustained IOPs, and an integrated stack of more than 25 software components, all highly tuned and configured to work together seamlessly. This massive capability, and extremely high IOPs, are needed to support the hundreds or thousands of databases that will be consolidated into this appliance. – The new Microsoft Database Consolidation 2012 software, to manage the appliance. This software is built from System Center technologies, System Center Packs, and SQL Server technologies. – SQL Server Enterprise Edition, with Software Assurance, required for unlimited virtualization and mobility of the SQL Server VMs. – New Appliance Tools, including new software to configure and test appliance, as well as tools to simplify the consolidation process (e.g. MAP, a tool to inventory and analyze the databases for consolidation, or a new System Center Appliance pack to provide a unified health view of the entire appliance).As well as new tools to manage the appliance day-to-day, in addition to pre-defined highly tuned VM templates to rapidly deploy small, medium and large SQL Server instances. Based on this configuration, the appliance can run any version and edition of SQL Server supported by Hyper-V, including older versions of SQL Server, as well as the upcoming SQL Server 2012. What advantages does an appliance have over building a custom solution? – Very rapid deployment: Configured right out of the factory. – New software: Available only in the appliance, to accelerate deployment and consolidation, as well as simplify the management of thousands of databases. – Single phone number for support: Does not matter if it’s a Hardware or Software issue, a single support team will diagnose it remotely for you. – Proven capabilities: Hundreds of hardware components, tens of software components, thousands of software settings. All ready to go, integrated, pre-tested with real life SQL Server workloads. Learn more about this appliance or talk to your Microsoft or HP representatives today!